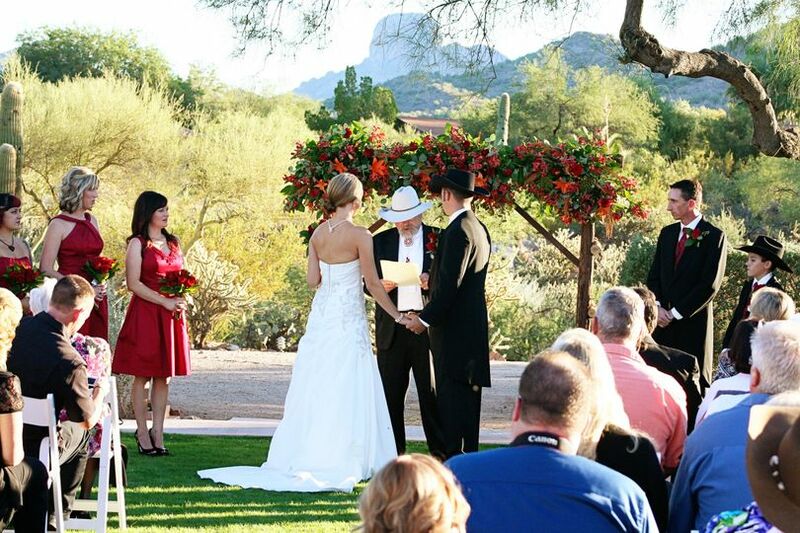 Rancho de los Caballeros is a dazzling wedding venue located in Wickenburg, Arizona. 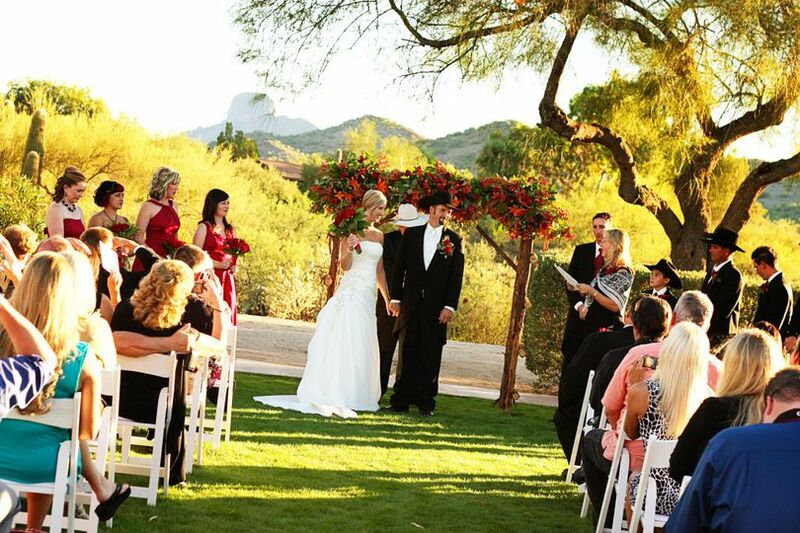 With the Sonoran Desert backdrop and the starlit sky, this venue is a beautiful Southwest location. They are located on over 20,000 acres of desert land. 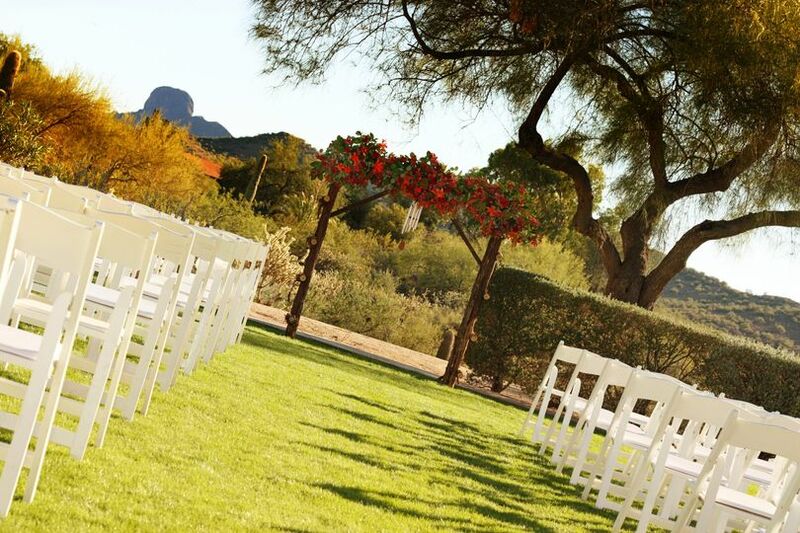 No matter if you are planning a small or big wedding, this venue will go above and beyond with their wedding services. They will help create a celebration that will live on for decades. As for their cuisine, they offer a variety of menus, and the catering team will help you envision and create a custom menu that suits your tastes. The entire ranch can be booked for your event to guarantee a private event. Their amenities include up to three spaces for your reception, full-service catering, and groups of rooms available. Past guests of Rancho de los Caballeros praise the staff’s hospitality, ability to create a well-organized event, and exceptional service. Rancho de los Caballeros can seat up to 275 guests in their largest room, which is the Sonoran Room. The room includes a high ceiling, multiple chandeliers, and various seating arrangements. The South Lawn, which is ideal for outside events, can fit up to 180 guests. The smaller rooms include the Ranch Main Dining Room that can seat up to 80 guests, and the Birdie Room which can seat up to 48 guests. Rancho de los Caballeros offers full-service catering for both small or large parties. 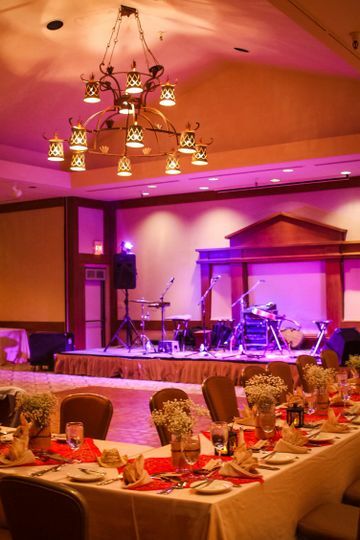 They offer a variety of themes for your cuisine and party, including a Desert Cookout Under the Stars, Mexican Fiesta, and Stars at the Los Caballeros. The Cookout includes bonfires, as the Mexican Fiesta offers food from south of the border. Rancho de los Caballeros sits near Hassayampa River Preserve. 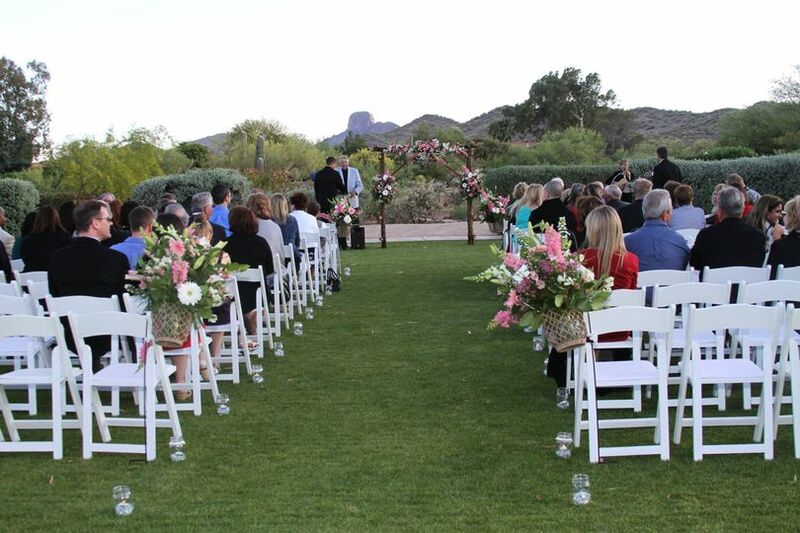 This venue services guests in the Phoenix area. 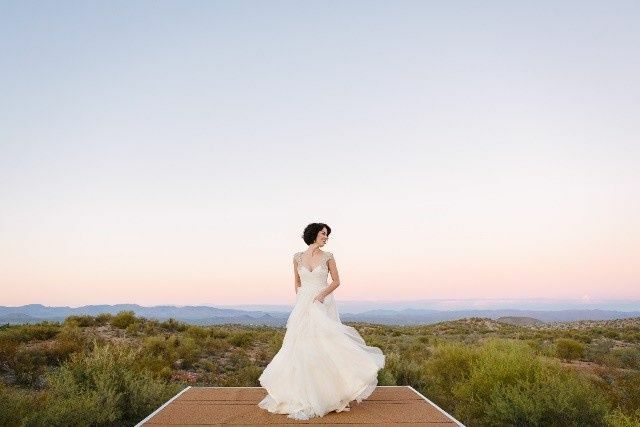 I never write reviews, however, after hosting our wedding at Rancho de los Caballeros in November 2017 I can't rave enough about this resort for any type of event. Their hospitality is beyond belief as the ranch and their workers go above and beyond to make your experience nothing but exceptional. Each of our guest was raving about their service, the food, and their experience at Los Caballeros. 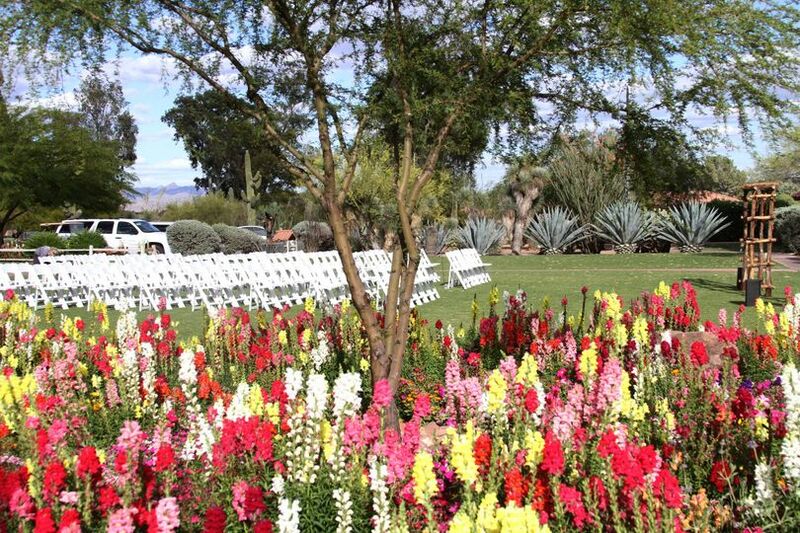 From organizing the event the ranch made each step of the potentially stressful experience smooth and enjoyable. 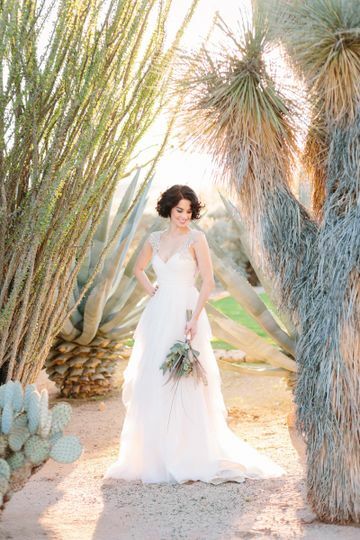 Suzanne the event coordinator at the ranch was extremely accommodating in requests and providing amazing alternative solutions to make this event my absolute dream. Her team was professional and on the day of the wedding were completely organized making the set up processes stress free. My husband and I can't wait to enjoy our one year anniversary back at the ranch and many more years after. Thank you Rancho de los Caballeros for the exceptional service. I hope many more couples who are planning their wedding or event take the drive to the ranch to see what an amazing experience they too can have. We loved everything about the ranch including the staff! Suzanne was helpful and attentive and made the whole day completely stress free! The ceremony and reception were both so beautiful! I have seen people pay 10 times more for their wedding than what we paid for ours and in my opinion ours was more beautiful! This place is truly a dream come true! Beauty, elegance and still affordable!